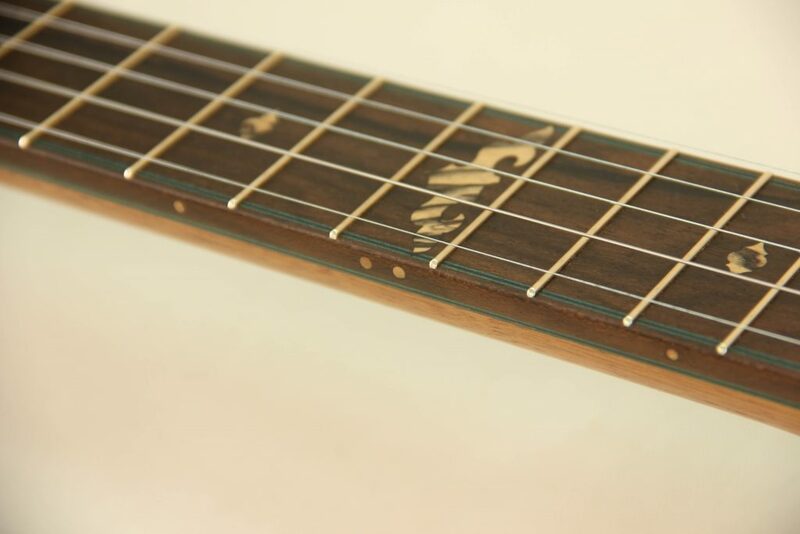 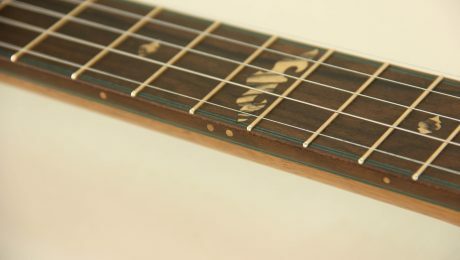 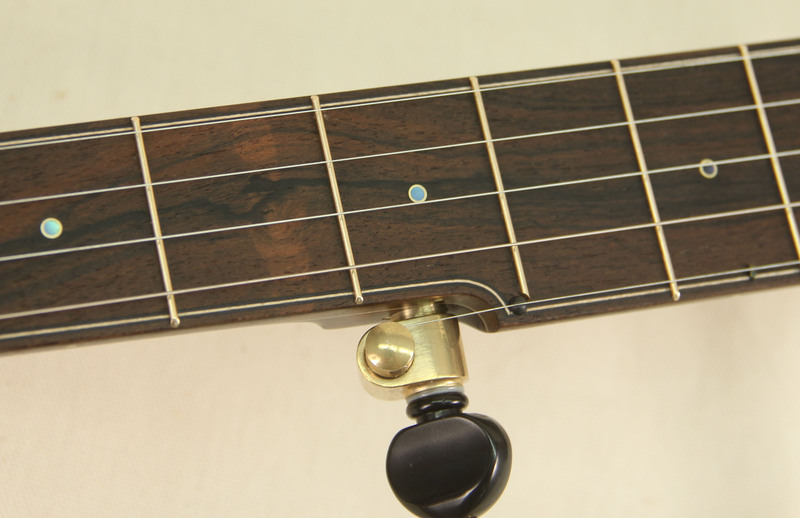 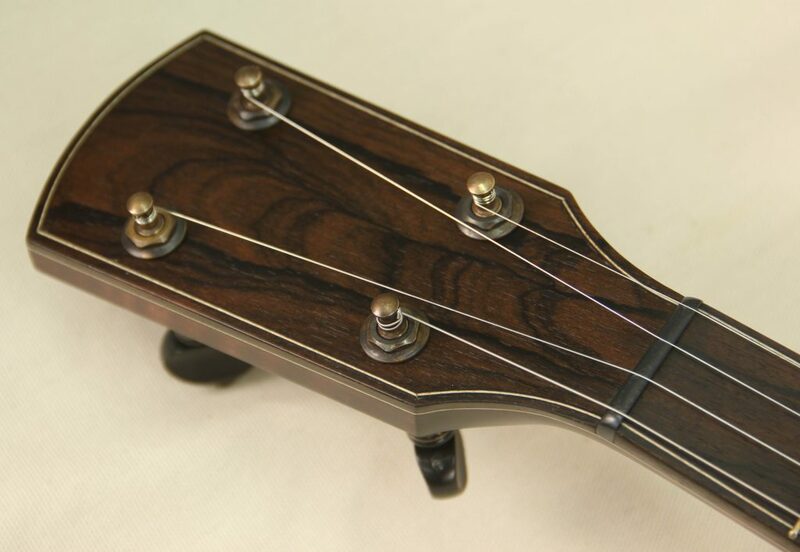 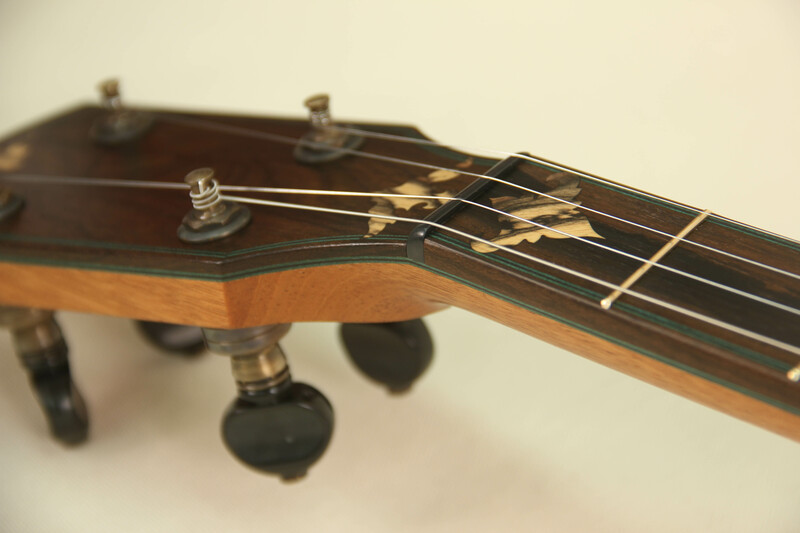 The Mahogany Custom model is designed using only wooden inlays and unique green purflings paired with Zircote. The combination creates an elegant look while being quite unique to anything seen before. 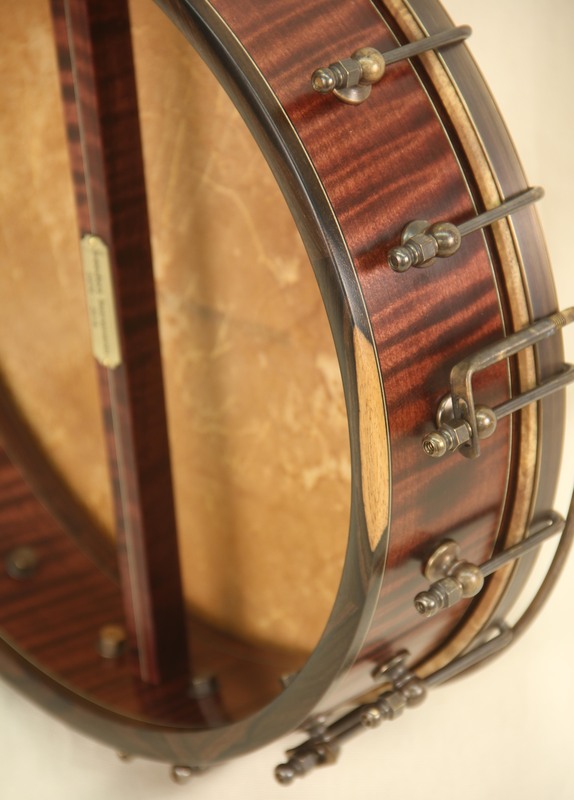 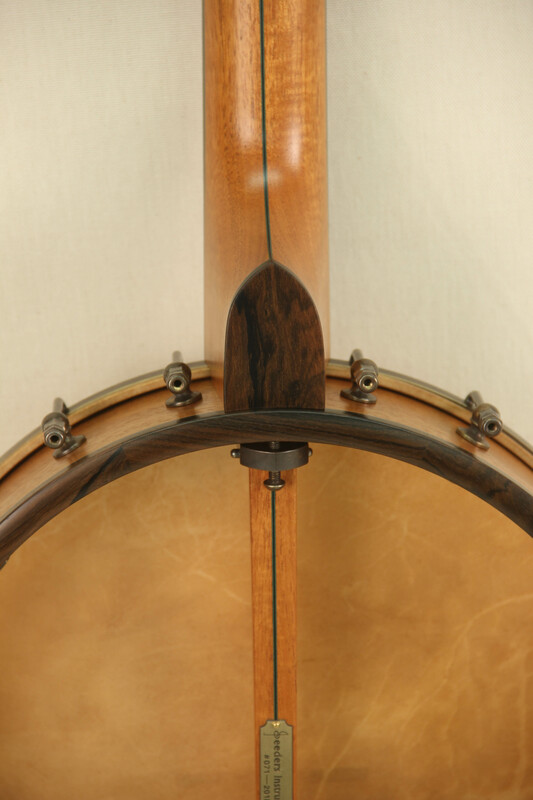 The 12″ rim paired with a Grenadillo tone ring and calf skin head gives it a strong punchy tone with plenty of depth and a well rounded attack. 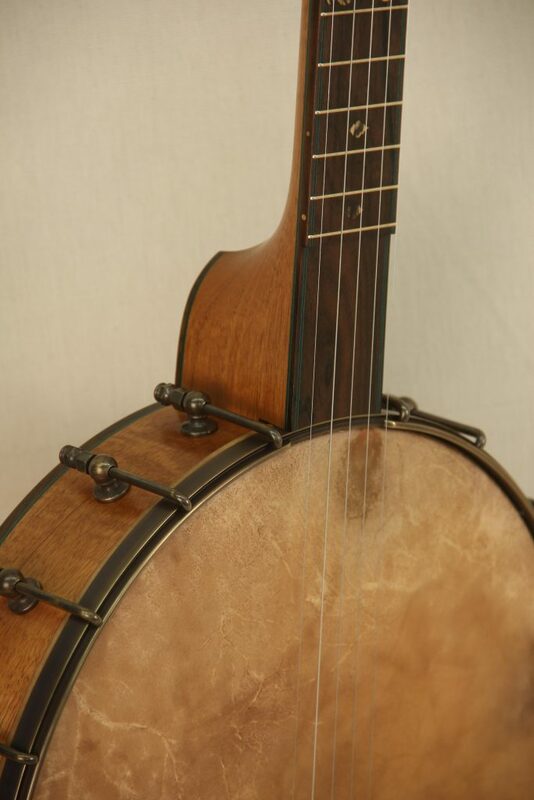 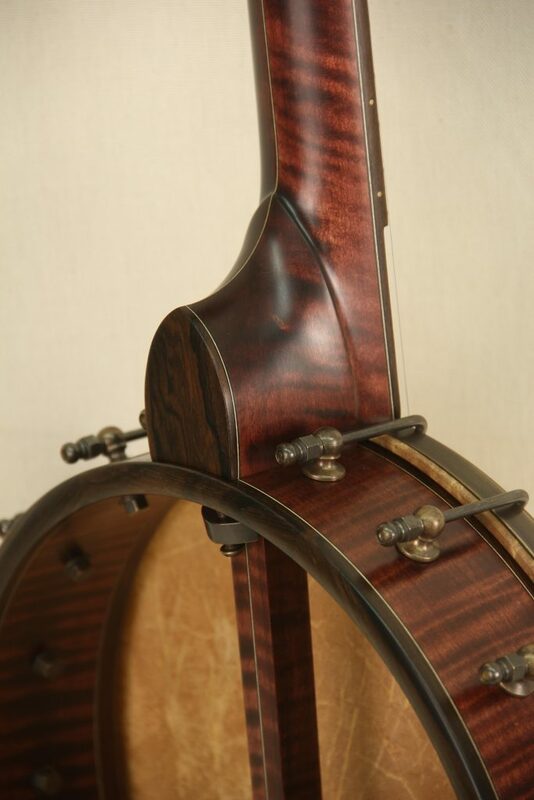 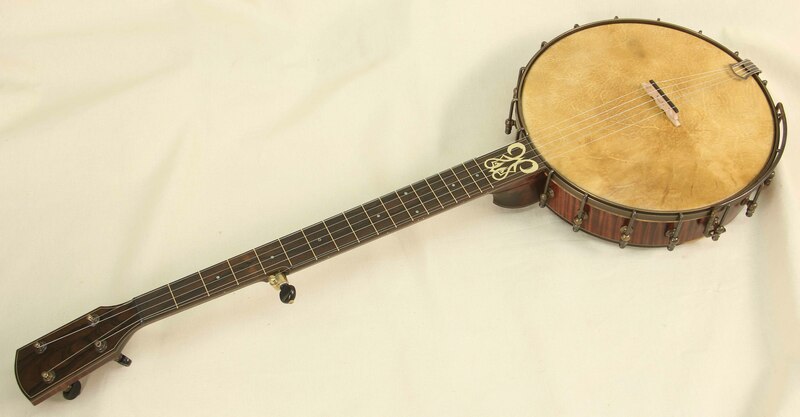 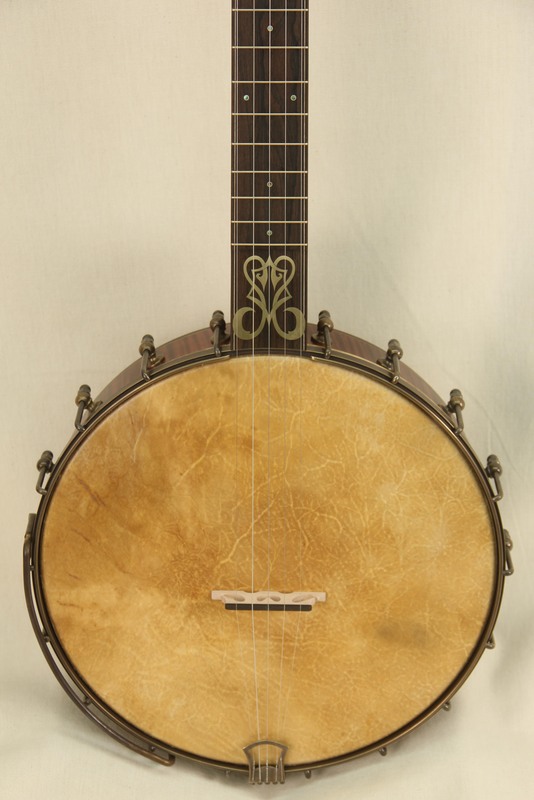 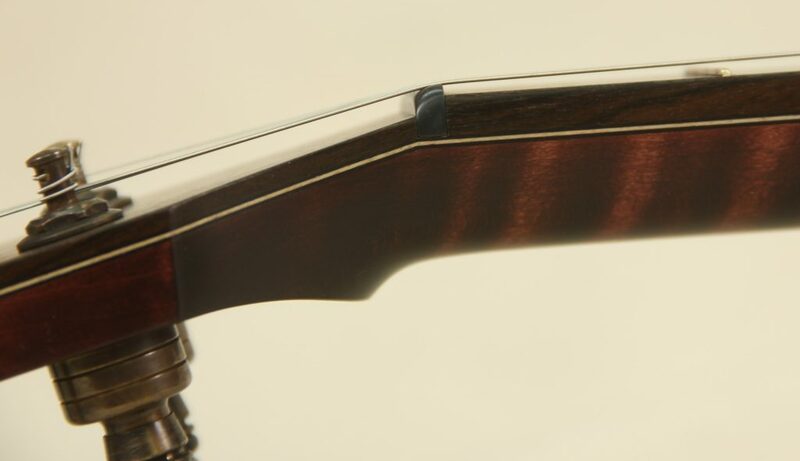 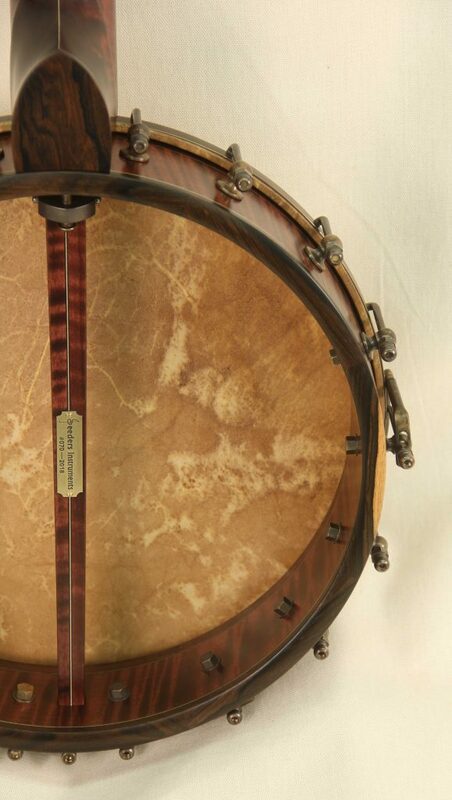 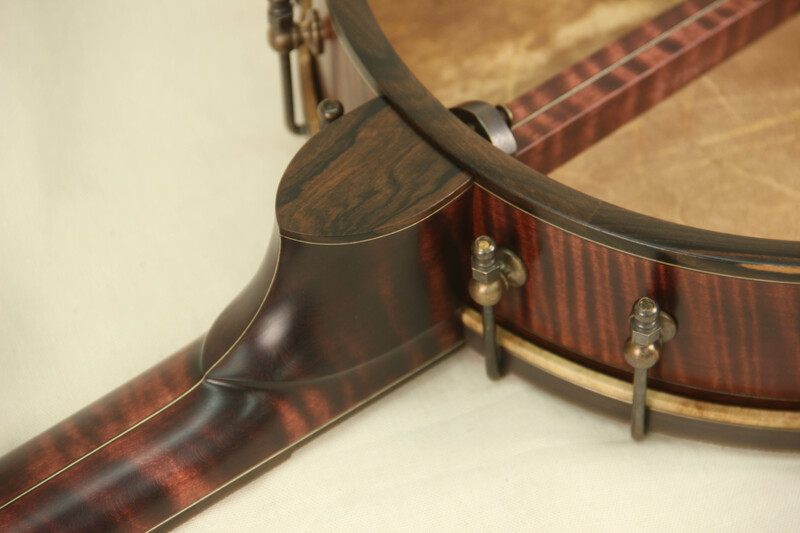 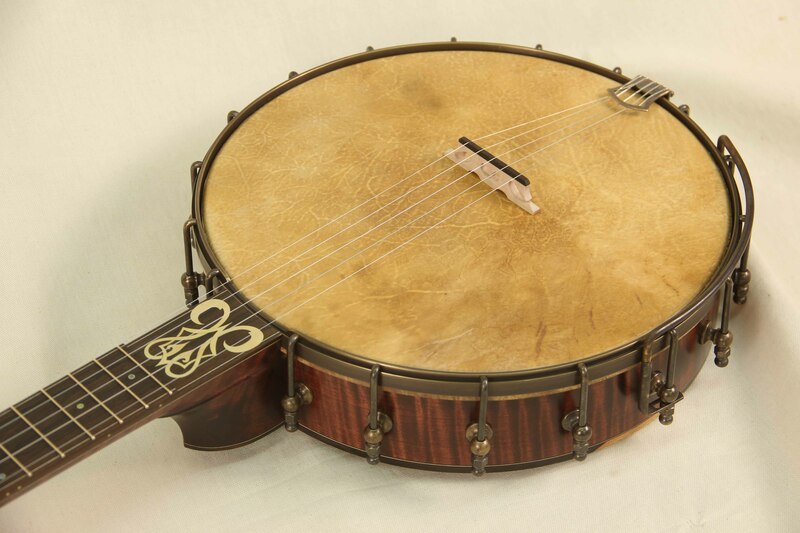 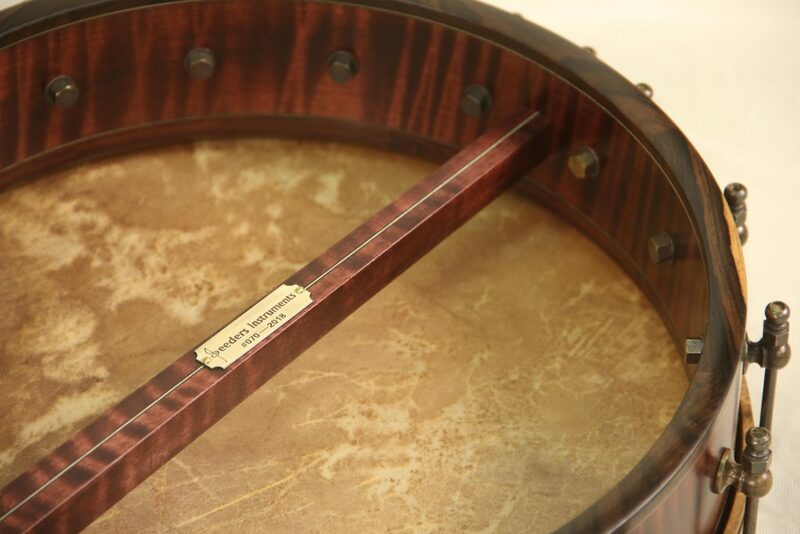 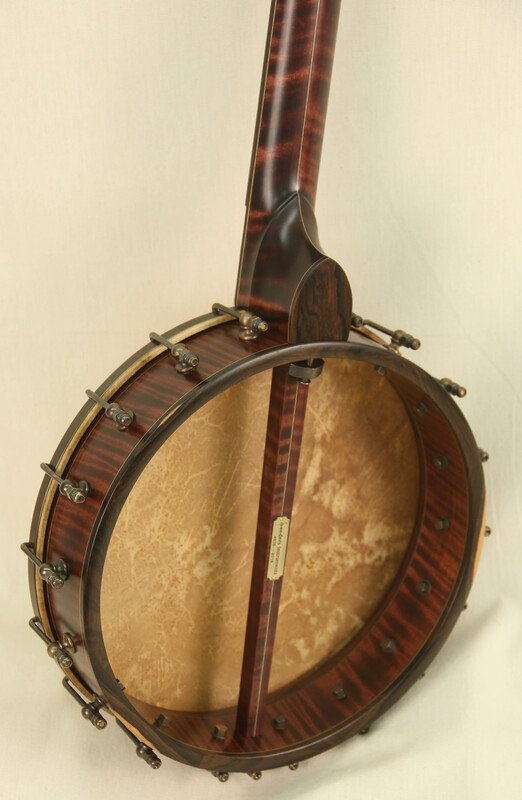 This banjo was based on the Mahogany Custom Model with some great twists. 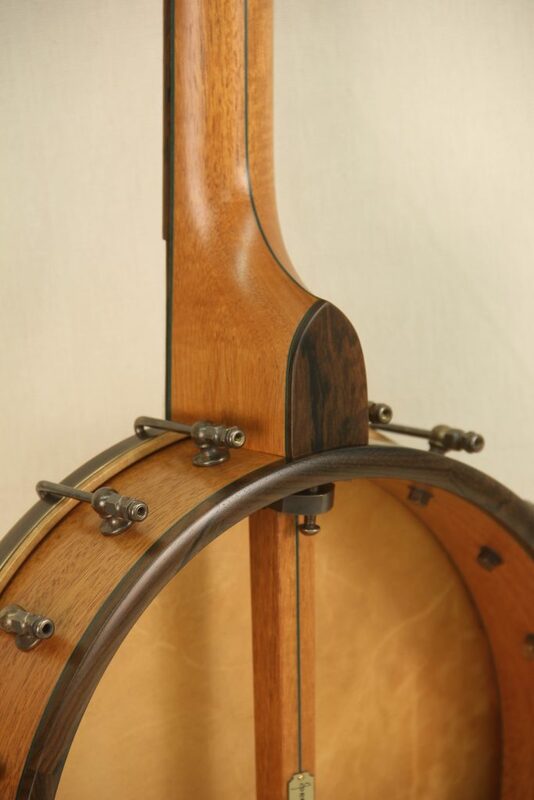 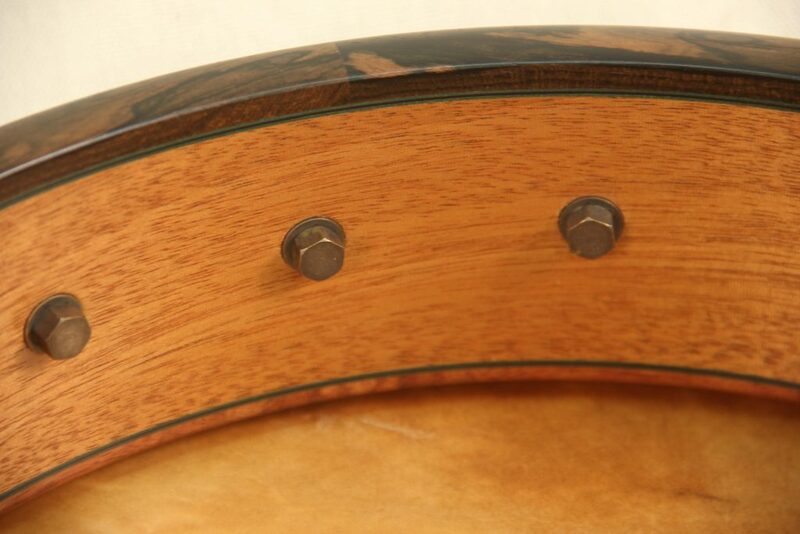 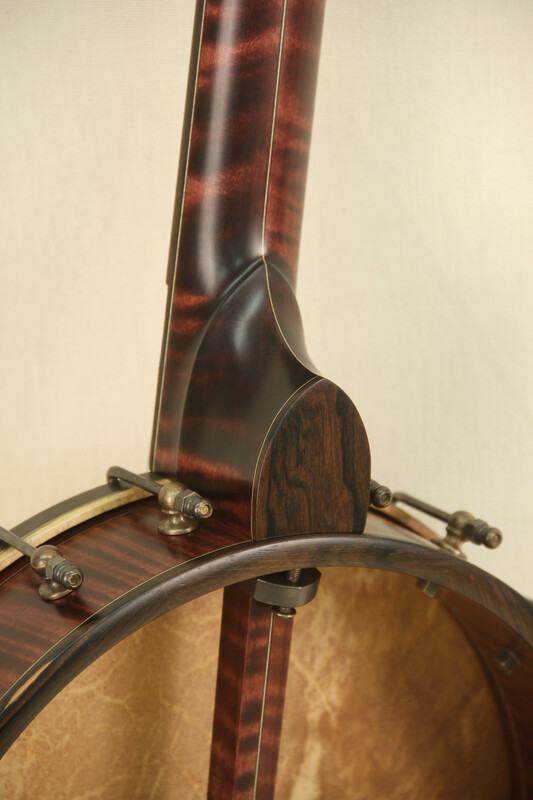 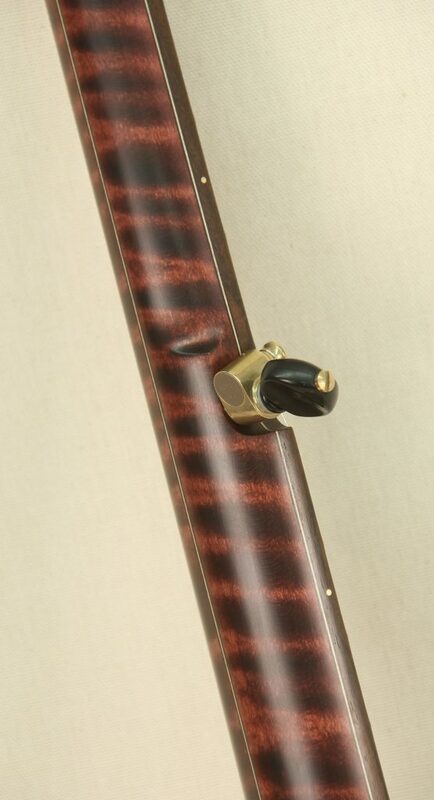 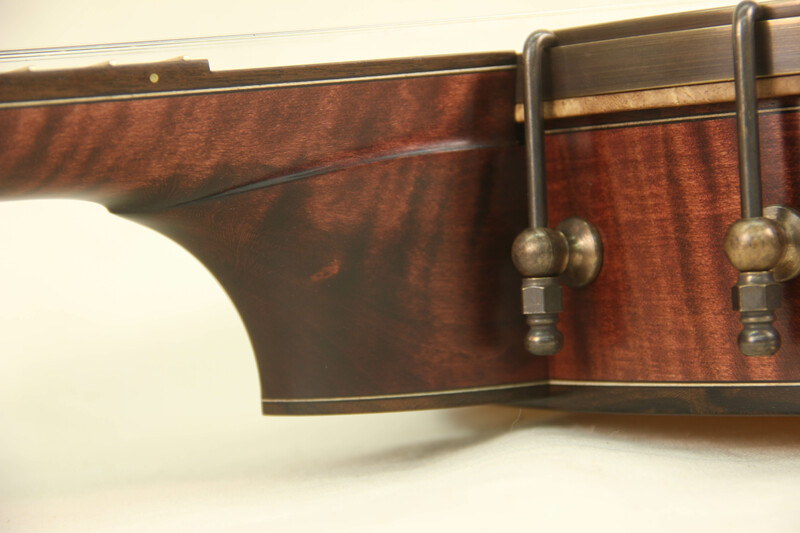 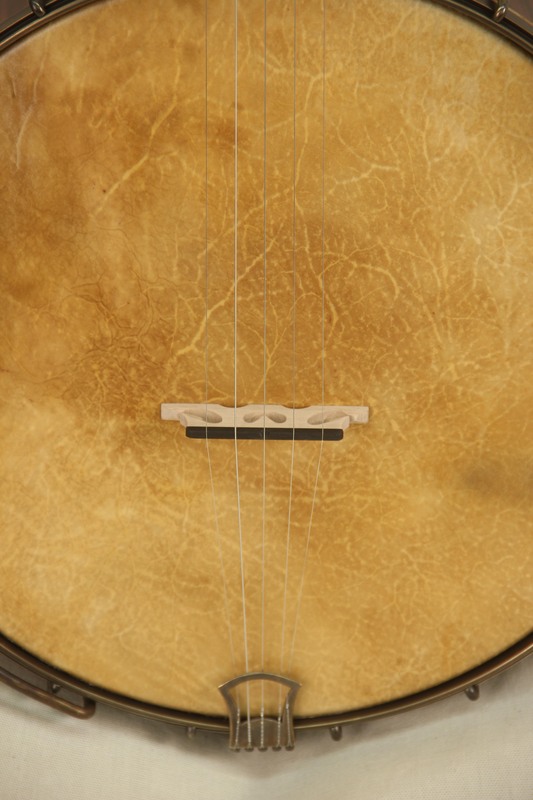 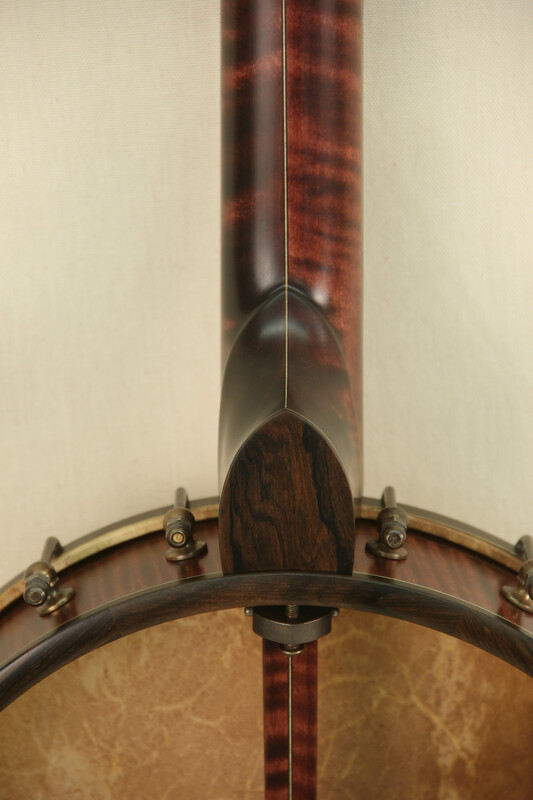 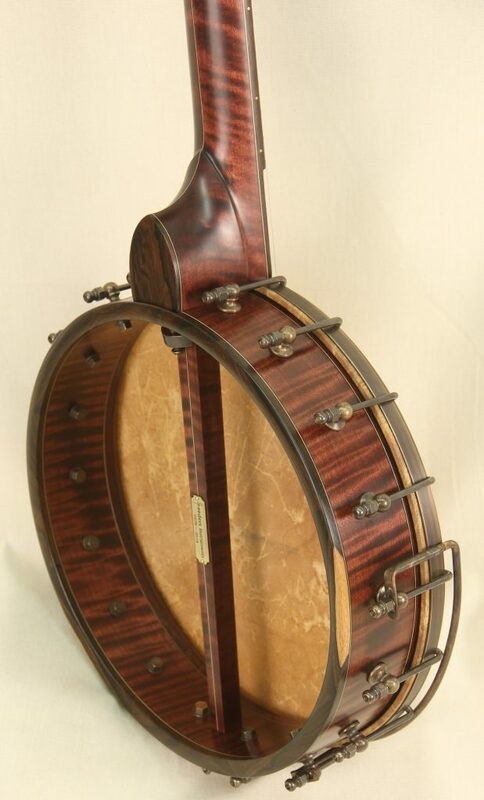 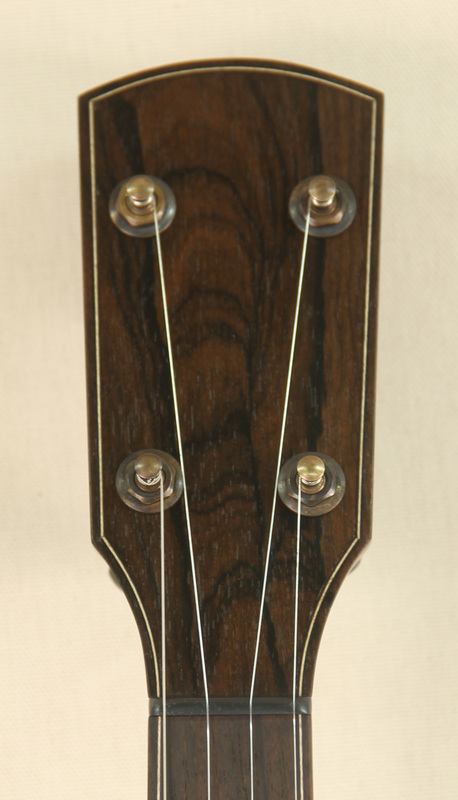 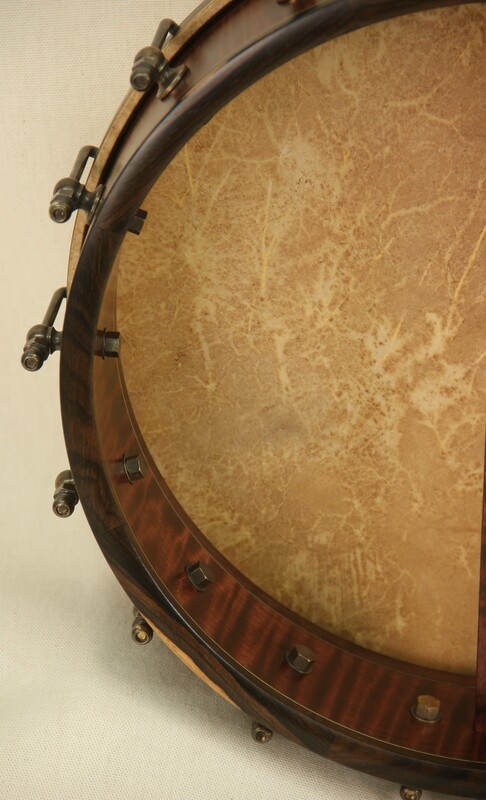 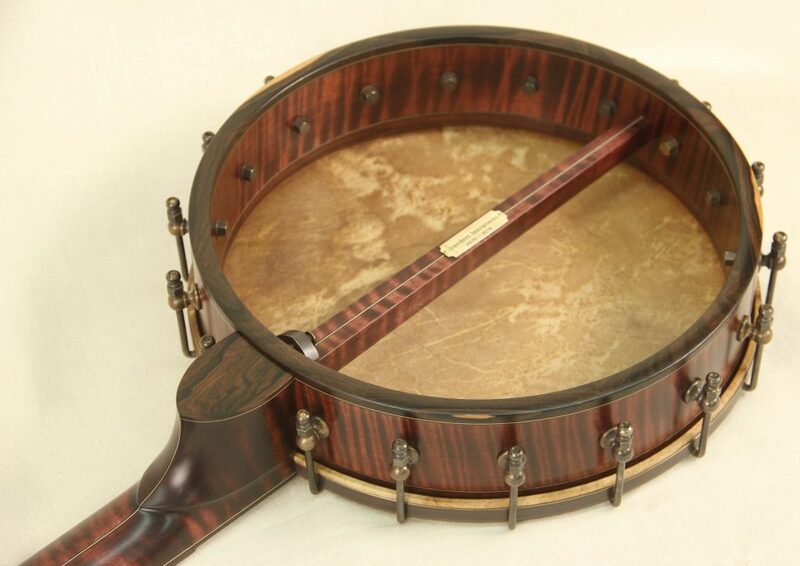 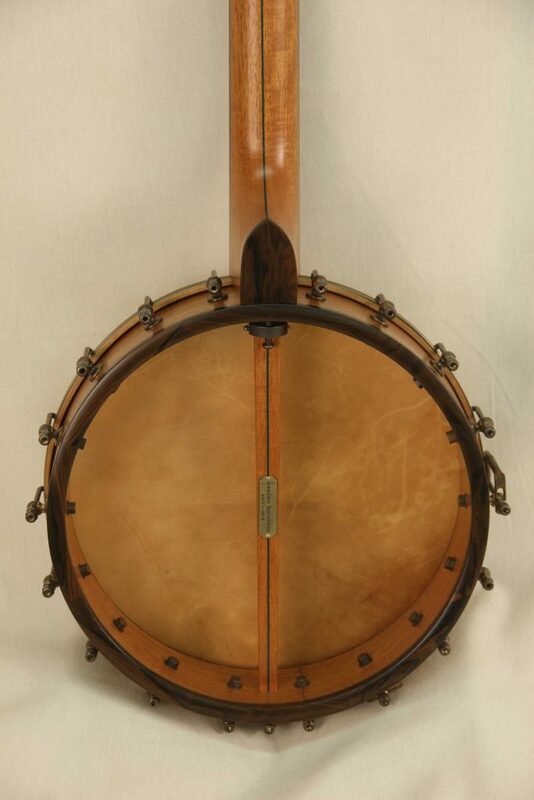 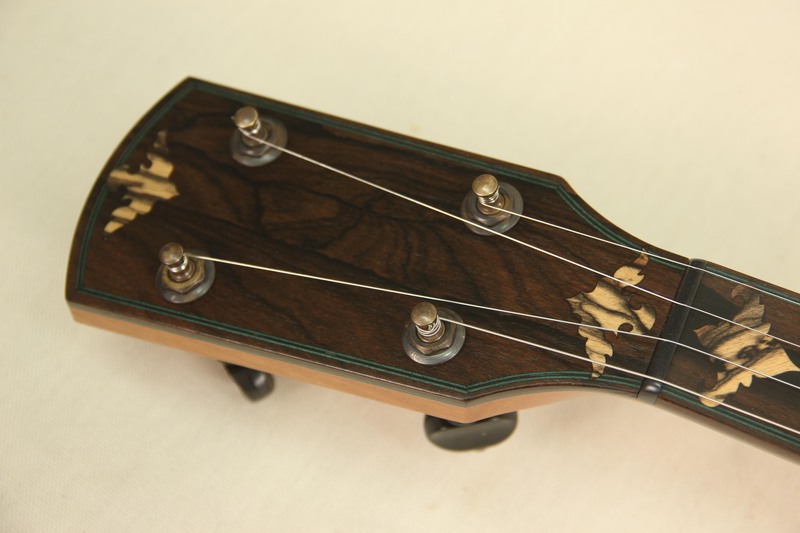 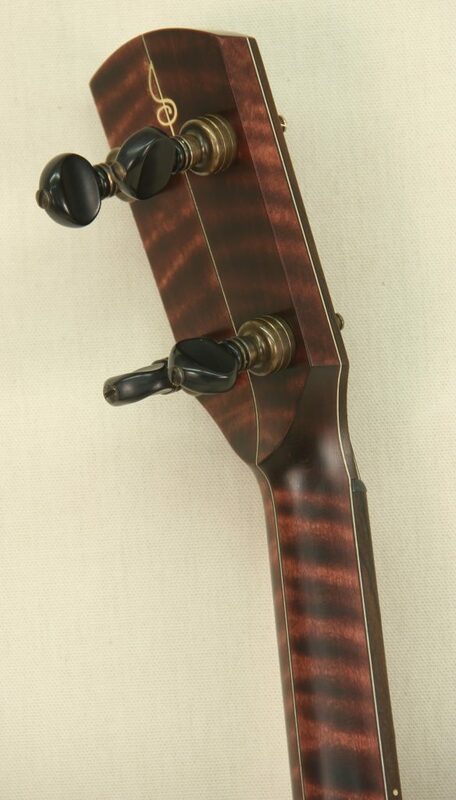 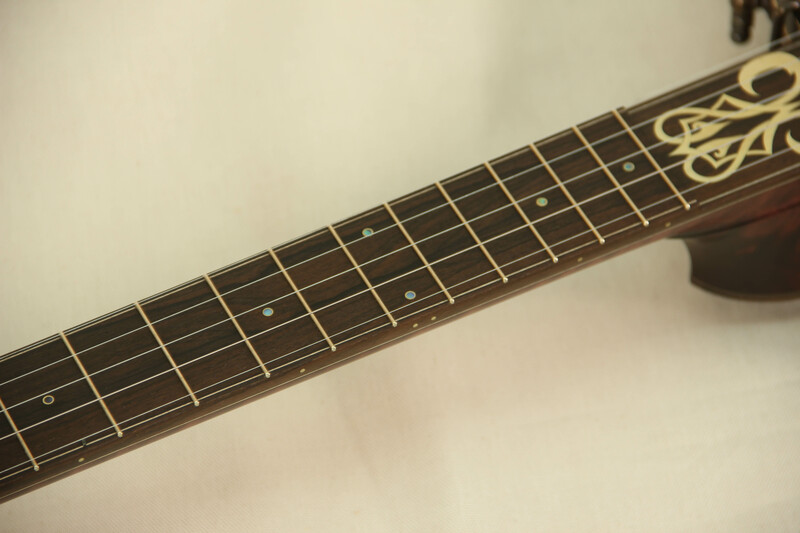 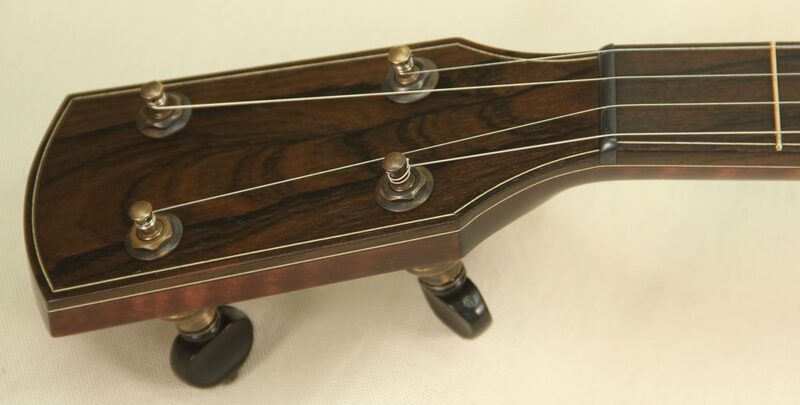 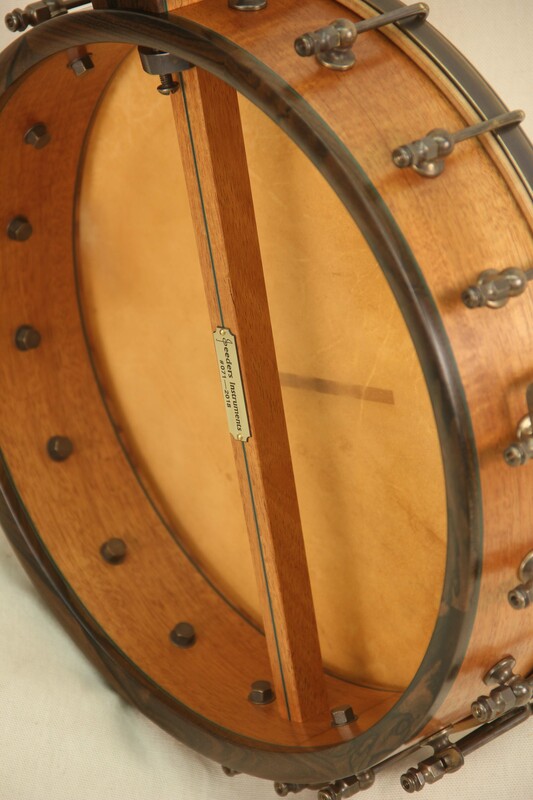 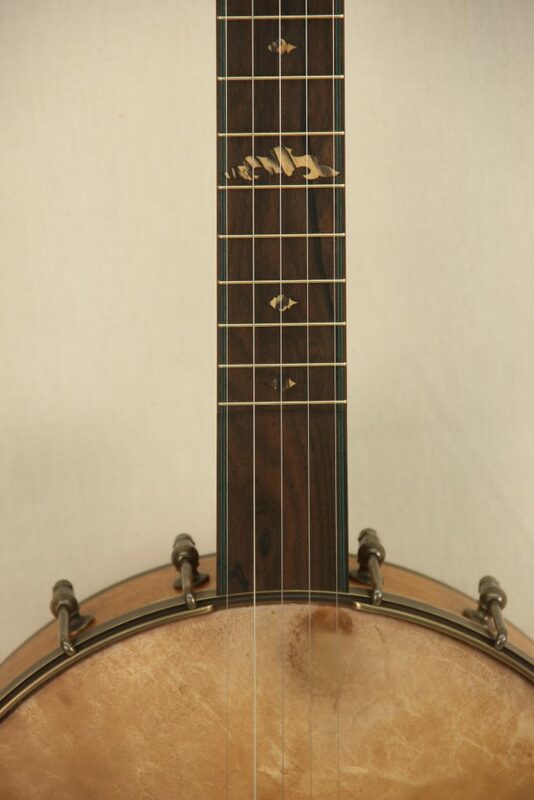 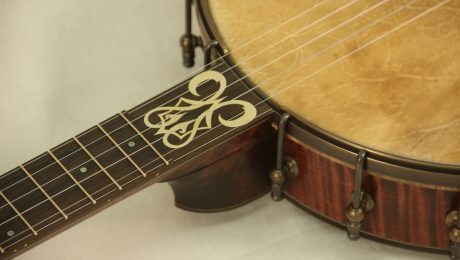 The green purflings were swapped with a classic violin style purfling, the inlays were changed to abalone and brass dots, and some brass inlays were added to the scoop and rear of the peghead. 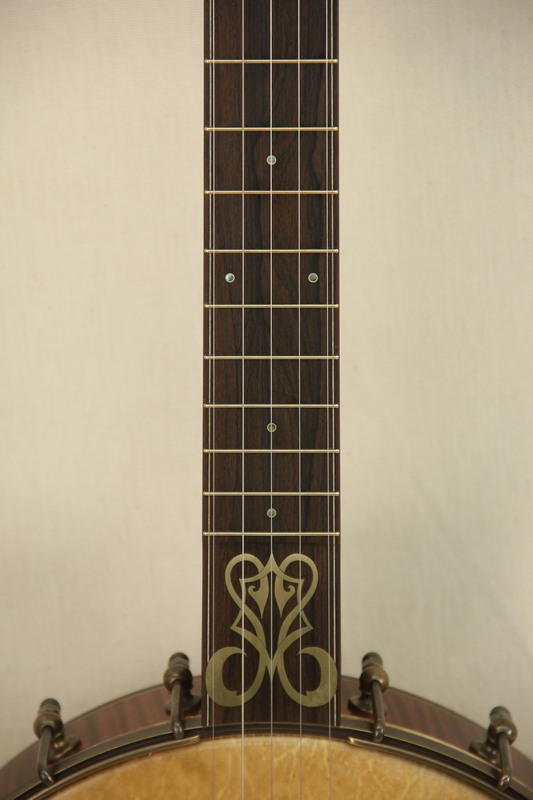 The heel carving and brass inlays are heavily influenced by the work of Jason Romero. 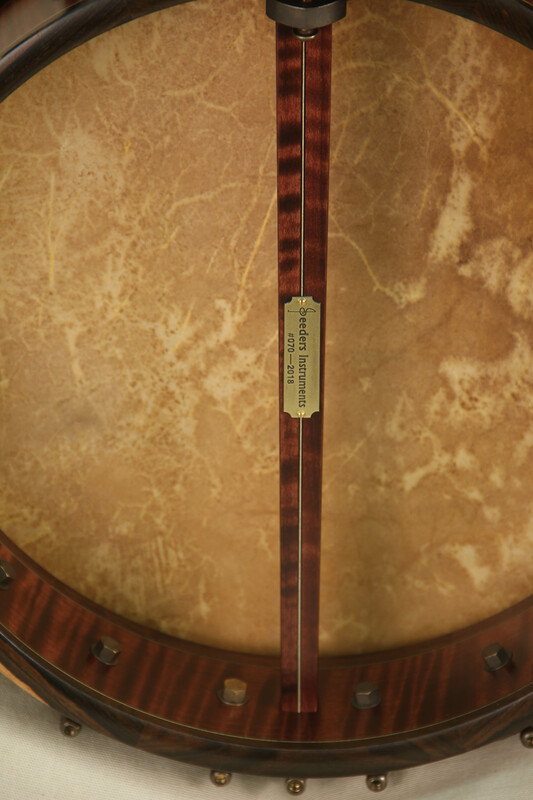 The striking red stain creates a wonderful contrast with the Zircote appointments and maple accent lines. 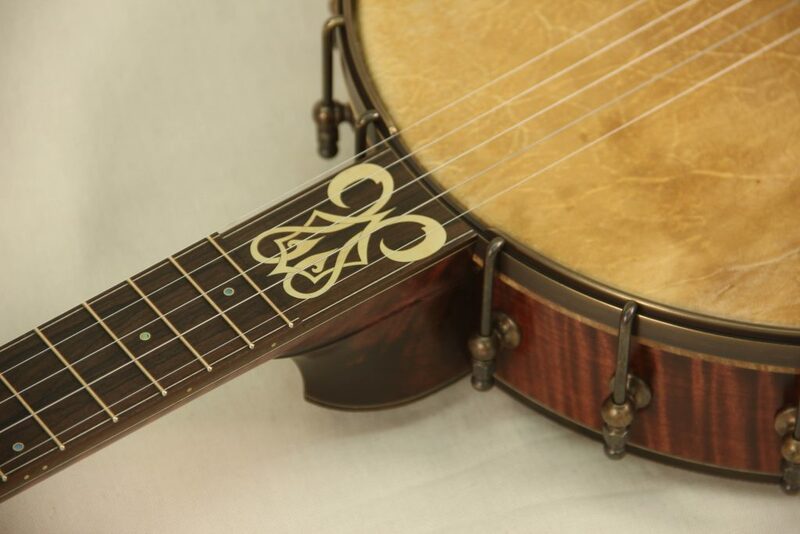 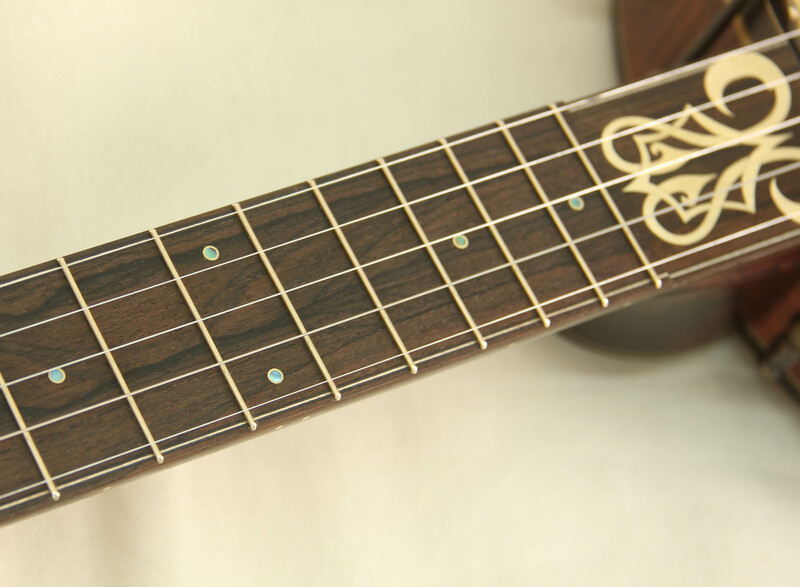 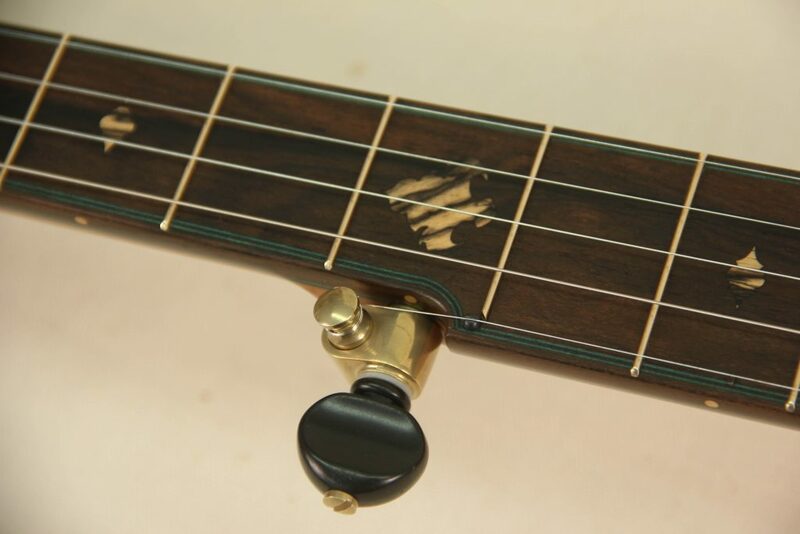 The Honduran Rosewood tone ring paired with the calf skin head gives it a rich and wonderful well rounded tone that is the desire of every clawhammer player around.